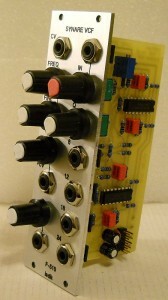 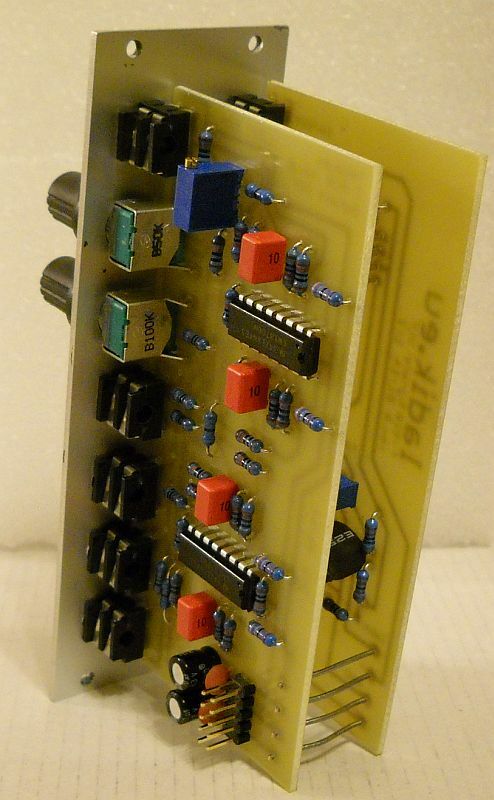 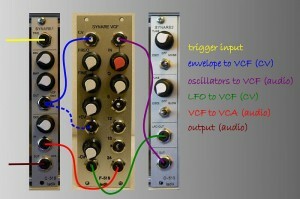 F-510 Synare VCF LP filter module for Eurorack / Doepfer A100. 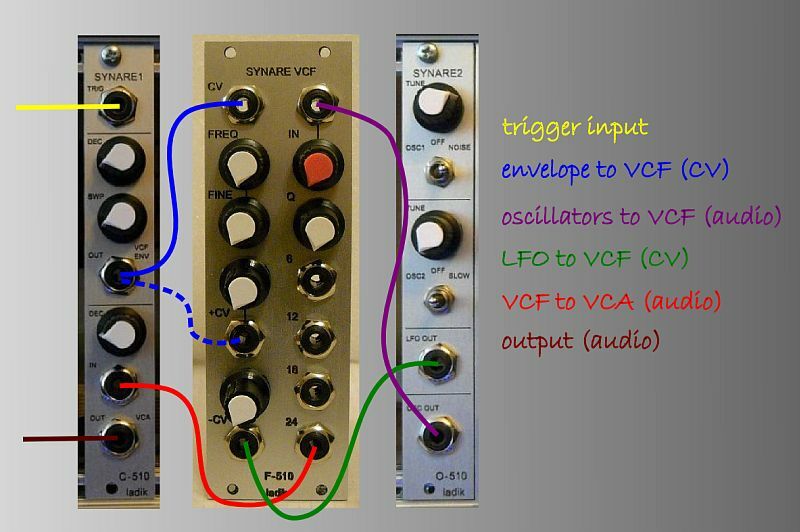 Voltage controlled low pass filter with four different slope outputs, 1V/oct input and variable +CV and inverting -CV inputs..
Can be used as quadrature VCO at selfoscillating. Outputs are phase shifted by 90° so sine output is 12dB/oct jack and cosine 24dB/oct jack.